4.5 x 2.6 x 2.7 in. With a full-frame sensor placed inside a compact body -- married with a fast, sharp 35mm Carl Zeiss lens -- the Sony RX1 achieves what was once almost unthinkable -- an almost-pocketable camera that delivers stellar hi-res images. The RX1 is the ultimate everyday street shooter or second camera for serious enthusiasts, pros (and trendsetters) alike, but its high price means it's not for everybody. The Sony Cyber-shot RX1 began shipping in the U.S. market in December 2012, priced at US$2,800. Only a handful of cameras have made us want to utter expletives of happy astonishment: "Holy Mackerel, they finally did it!" Yes, it's real: Sony shoehorned a full 35mm-sized sensor with a fast 35mm prime lens into a nearly pocket-sized camera called the Sony Cyber-shot RX1. It's official: you can go ahead and think of "RX" as code for Rex, because the King of Compact Cameras is here. We'd been expecting a super-pro digital SLR above the A99 (a camera we'd already seen, which was announced simultaneously), but we didn't expect a camera that would make all the early Sony RX100 buyers utter a few expletives of their own. But before you feel chagrined, note that the price of this 24-megapixel, full-frame, fixed-lens compact camera is a comparatively high $2,800. Whoa. A few in the press room at launch barely stifled a few guffaws at the price, because up to that point we'd been thinking it compared to the RX100, which comes in at a high $650 relative to its pocket competition -- but not that high. Yet when you step back and realize the RX1 has the potential to go head-to-head with cameras such as the Canon 5D Mark III, Nikon D600 and Leica M9 -- each with a high-quality 35mm prime lens attached --that price makes a little more sense. Yes, that's a 24-megapixel, full-frame sensor with a Carl Zeiss Sonnar 35mm f/2 T* lens in a body not much bigger than the RX100, and with all of its bells and whistles. Holy Supercameras. The Sony RX1 can also record Full HD at up to 60p. Fast autofocus, great controls and the pleasantly small body made us restless to get the Sony RX1 in for testing. The front of the Sony RX1 is pleasantly simple, with a small leather-like grip, a bold but simple product name and an AF-assist lamp. Right of the lens is the three-position focus mode switch. Sony said a lot of effort had been put into the Carl Zeiss lens to make it small while maintaining exceptionally high quality worthy of the 24-megapixel full-frame sensor. Starting with the lens controls, the front ring is for manual focus, the second ring sets Macro and Normal focus modes, and the back ring is for aperture. A hinged pop-up flash is recessed in the top deck, rising up and leaning forward not unlike the flash in the RX100. The Sony RX1 also includes the new Sony multi-interface hot shoe with data contacts under the hood. A simple Mode dial and Exposure compensation dial are placed in traditional locations, and the power switch rings the shutter button. And yes, that's a threaded shutter release button, which will work with a traditional mechanical cable release. Small strap lugs are used to keep the design small, which means the Sony RX1 requires the sometimes noisy D-rings. Those shooting video will do well to remember to remove the strap and D-rings before shooting anything important on a windy day. And finally to the view photographers will see most often, the back, which reveals the bulk of the Sony Cyber-shot RX1's controls. Because the lens rings are dedicated to the lens controls, the Sony RX1 doesn't have the nifty programmable front control ring found on so many premium pocket cameras (such as the RX100, Canon S100 and Panasonic LX7). Instead, the RX1 has two dials on the rear. Since the RX1 is a little larger that those pocket cams, there's more room for controls on the back, making the buttons and dials easy to activate without a cramped feeling. Sliding the flash release right pops up the flash. A Movie record button appears far right of the thumb grip, an odd placement, but one at least unlikely to be activated by accident. Menus and operation reminded me of the RX100, and autofocus and shutter lag were quite snappy. It takes a sweet lens to do justice to that 24-megapixel Sony sensor, but Sony certainly has stepped up by making it an 35mm f/2 Carl Zeiss Sonnar T*. Sweet indeed! It wasn't so long ago that pro and intermediate photographers, in addition to their professional gear, would carry good quality, pocketable cameras, such as the Olympus XA or Stylus, which had fixed 35mm lenses and took full-frame 35mm film. Eventually, before the birth of APS (Advanced Photo System) film cameras, a wide array of pocket cameras evolved that used 35mm and delivered excellent image quality for the masses, not just photography buffs. Though it's priced too high to compare to the Olympus Stylus, the Sony RX1 is aimed at a more serious, well-heeled set of photographers -- the pro or serious enthusiast looking for a high quality camera that's also easy to bring along. It's made for those who would gravitate to the Leica M9, or who, back in the film days, would have spent a lot of money on a Contax G or T-series film camera -- cameras with their own acclaimed Carl Zeiss lenses. The Sony RX1, whether it's for you or not, answers a sincere desire in the marketplace for a return to that full-frame sensor size with excellent quality optics in a very small package. Sony engineered the body and optic so tightly around the large sensor, they say there was no way to make it an interchangeable lens system. They chose just the right focal length for the traditional street photographer -- 35mm -- and made the lens as fast as they reasonably could while maintaining a very small size. The first thing that hit me when I saw the Sony RX1 for myself was just how small it is. It's hard to get a sense for this from typical product shots, so I took a couple of photos to help convey a sense of scale. The shots below show it in comparison to an average-sized hand, and beside a current higher-end digicam. These may help a little, but still won't adequately prepare you for the first time you see and hold the RX1 for yourself: It's hard to imagine how Sony's managed to cram a full-frame sensor in there, let alone designed a lens that small that can cover it. The Sony RX1 is literally the size of some larger digicams, yet sports a full 36x24mm (well, almost, at 35.8×23.9mm), 24-megapixel sensor, and one of the best lenses we've yet seen on a fixed-lens camera. These shots give you some idea of just how small the Sony RX1 is. The Canon G15 (and other "enthusiast" pocket cameras, like the Nikon P7700 and Panasonic LX7) has a 1/1.7" image sensor, compared to the RX1's full-frame 35mm chip. The RX1's sensor is almost 20x larger. Yet, as you can see, the RX1 is actually slightly smaller than the G15 in some dimensions. There's no getting around that the lens is quite a bit bigger, but the overall envelopes are surprisingly close in size. The controls of the Sony RX1 continue the sense of quality, with just the right balance between stiffness and ease of use. This balance is surprisingly subtle and difficult to achieve, at least judging from the number of times we've seen manufacturers have a hard time with it. Get it wrong one way, and control settings can change with the least jostle, bump or errant brush of a pinky. Get it wrong the other way, and you end up with sore fingers after using the camera for a while, and possibly even missed shots because you couldn't get a control to change quickly when you needed it to. It's ultimately a matter of personal preference, but for my part, I found the RX1's controls just about right. The EV-adjust and Mode dials both take enough force to move that it's very unlikely they'll ever get changed inadvertently, but they stop short of being so stiff as to be awkward. (OK, if it were up to me, I'd probably make them just slightly less stiff, but they're really fine as they are.) The buttons sprinkled around the camera are equally a good balance between too stiff and too easy, with a nice breakaway feel so you'll know when you've pressed one. Finally, the lens controls remind me of the high-quality, manual-focus lenses of yore, in the smooth and precise way they operate, even though focus control in the RX1 is "fly by wire" -- with no mechanical coupling between the focus ring and the optics themselves. I wish this last were otherwise, but the demands of modern autofocus mean there's just no way a focus ring could be direct-coupled and have the buttery smoothness of old MF lenses without auofocus being unbearably slow and power-hungry. Holding the camera in my hand, the slight lip and frictive surface of the textured rubber grip on the front provided good purchase for my fingers, and the raised thumb ridge on the back worked pretty well too. I think I'd like the thumb ridge slightly thicker (perhaps a millimeter or so), but I nonetheless felt I could get a pretty good grip on the camera. I could certainly snap a shot single-handed, but found myself using a two-handed grip almost all the time: Pretty much all of the controls are on the right side, so you'll find yourself supporting the camera with your left hand while you make adjustments with your right, and of course, you'll use your left hand to make any aperture adjustments anyway. Speaking of aperture adjustments, it was amusing watching myself when I first started shooting with the camera, as I wasn't used to having mechanical aperture and exposure compensation controls available. It was embarrassing to see how long I spent pressing buttons and staring at the LCD in aperture-priority mode, wondering why the heck I couldn't change the aperture with one of the rear control dials. I guess it says something about how much more time I've now spent shooting with digital than I had with film earlier in my life. Once I got over the embarrassment, I quickly came to love the physical EV adjustment dial, but was surprised to find myself wishing for a rear-panel aperture adjustment. The old-style aperture ring feels wonderful, but I actually found it a little awkward having to shift my hand position as I held the camera higher or lower. If you're like me, you enjoy taking pictures more than fiddling with camera controls. Nothing saps my picture-taking pleasure faster than endless deep dives into a menu system to get the shots I want. As a result, I think a lot of my pleasure in using the Sony RX1 came down to its ultra-configurable user interface. The ability to assign specific functions to various user-interface buttons is nothing new, but the Sony RX1 gives you more options (a total of 25 can be randomly assigned to buttons) and lets you configure more of the available buttons than is common. Super Custom. 3 of the 4 directions on the dial are user-customizable. While the RX1 offers more configurability than most cameras, that by itself doesn't explain why I took such advantage of it, let alone so quickly. After some pondering, I think it comes down to this: no labels. On most cameras, most of the buttons and controls have labels associated with them. You know; the four-way controller has the four directions labelled something like self-timer, white balance, flash and ISO. Or whatever. While some cameras will let you override these default functions, the labels are still staring you in the face. You have to remember; "Oh yeah, that control says WB, but I've actually reassigned it to metering pattern." At an even more basic level, the label says "this is what this button does", so it may not even occur to you to make it do something else. On the Sony RX1, only the "up" direction of the four-way controller is labelled (DISP), and that's the function it always has. The other three directions carry no labeling at all. There's a button labeled "Fn" on the camera's rear panel, and one labeled "C" on the top, but those are entirely generic labels that actually suggest you should assign a function to them. The only configurable button that carries a label is the one for AEL (auto exposure lock). The lack of labelled default functions meant that the RX1 immediately confronted me with the question of what I wanted the controls to do. So I went ahead and assigned my own functions to them, where with another camera I might not have bothered. The result was a huge improvement in my shooting experience. I realize I'm spending a lot of time on the RX1's user interface, but that's because it had such a profound impact on my experience with the camera. Here's an example: My first real outing with the camera was in San Francisco, where the tall buildings resulted in a lot of tall/narrow subjects, but where street-level shooting subjects better fit the camera's native 3:2 aspect ratio. No problem, I set the right 4-way button to control aspect ratio, so I could switch from one to the other in a heartbeat. It was a bright, sunny day, so dynamic range was an issue with a lot of subjects. No problem, I assigned the left 4-way button to bring up the DRO/HDR controls. The mix of sunlight and shadows, combined with a clear blue sky also meant that white balance was pretty variable, so I assigned the down-button to white balance. At first, I thought I'd be using the digital zoom feature more, so I initially put that on the "C" button, but as I moved from outdoors to in and back again, I fairly quickly decided that having the ISO setting there made more sense. The result of all this was that I had exactly the functions I most used right at my fingertips, so I spent very little time in the menus, and lots more time actually taking pictures and enjoying myself. I've always been a big fan of buttons rather than menu controls, but the flexibility of the Sony RX1's control system took it to a whole new level for me. These two comparison images taken from the same location show the power of the Sony RX1's Smart Teleconverter function, which allows for crop-zooming without significant image quality deterioration at a magnification of 1.4x and 2.0x. The RX1 also comes with Clear Image Zoom and Digital Zoom technologies (although if you value your sanity, don't bother trying to figure out the difference between these three options using the manual!). The RX1's 24-megapixel resolution and ultra-crisp lens make crop-magnification much more useful than you might expect. Beyond the RX1's design and handling, it functions superbly as a camera. There are all the controls and options you could hope for, and in my experience, they all worked very well. Taking white balance as an example, it has all the white balance settings you could ask for, including no less than four different settings for fluorescent lighting, three separate custom settings, and the ability to apply manual adjustments to every setting separately, using the by now familiar cyan-red/green-magenta (A-B/G-M) color map. There was one nice tweak that I'd never seen before, though, in that the custom white balance setting process displays the color temperature the camera has chosen, as well as the A-B/G-M adjustment it applied. I really liked the added info, compared to just having the camera produce the adjustment with no added information. Sony's dynamic-range expansion options worked as well as they always do, with 5 levels of "DRO" (Dynamic Range Optimization), and HDR exposure ranges as high as 6EV. Both the DRO and HDR options have an available Auto setting as well. In both cases, the results were as natural as could be hoped, meaning that the tonal distortion of high levels of HDR was no more than you'd expect from 6EV of dynamic range compression. Also important for hand-held HDR photography, the Sony RX1 micro-aligns the separate images before combining them, so the results are about as sharp as single-shot images would be. I liked the RX1's user interface quite a bit. Some of the settings are displayed as "virtual dials" on the LCD while you're changing them. The 13 creative styles provide a wider range of options than found in most cameras, with settings for things like high-key and low-key shots, as well as the conventional Portrait, Landscape, and Sunset settings. I particularly like that Sony lets you adjust contrast and color saturation for each creative style separately. This is also where you can dial back (or boost) the camera's default image-sharpening setting as desired. I didn't change it on any of my gallery shots with the camera, but I usually dial back a little from cameras' default sharpening settings, so I can do a better job in Photoshop later. Of course, there are also the unique multi-shot scene modes pioneered by Sony, including the incredibly useful Handheld Twilight mode, and the incredibly fun Sweep Panorama mode. The former helps you capture sharp images when shooting hand-held in low light conditions. It does so by snapping a number of shorter exposures, micro-aligning them, and then adding them all together to end up with the same exposure level as a single, longer one. The net result is you can shoot a good two stops slower than you'd normally be able to without using a tripod. Sweep Panorama is probably familiar to everyone by now; you can capture a panoramic shot by just holding down the shutter button and "sweeping" the camera in front of you. The RX1 snaps dozens of shots, and stitches slices from each into a surprisingly seamless panorama. One added note about Sweep Panorama, that accounts for some of why I find it so handy: Most people only think of panoramas for horizontal shots, but they can be incredibly useful for vertical shots as well. I enjoy hiking when I have the time (ie, seldom), and Sweep Panorama is often the only way to capture the full height of a waterfall, working exceptionally well for that purpose. The same could be true of tall buildings in a city, or for that matter any other tall subject that's too close to fit into the frame. The Sony RX1 offers a nice range of useful filters and creative effects that are tastefully done, and most come with adjustment settings that let you vary the amount of creative processing applied. The above examples were shot in a low-light setting, further showing off the impressive skills the RX1 has to offer. Performance, optics and image quality -- oh my! Beyond its ground-breaking size, what really thrills me about the Sony RX1 is its image quality -- and its phenomenal lens. Ultimately, it all comes down to the pictures a camera can deliver, and the RX1 delivers in spades across the full spectrum of lighting conditions and subjects. Image quality isn't just good, it's exceptional. Having a sensor derived from that in the Sony A99, this comes as no surprise: That camera takes great photos as well, and the RX1 more than matches it. Whether it's due to its extraordinary lens, or to a weaker low-pass filter, images from the Sony RX1 are noticeably sharper than those of its translucent-mirror big brother at low ISOs, and significantly so at higher sensitivities where better noise-reduction processing could be playing a role. What's remarkable to me is just how well the Sony RX1 stacks up against the best the field has to offer. (See the image crops below for specific examples, or help yourself to our Comparometer to compare all our test images, to your heart's content.) And when I say "the best the field has to offer," that's without limitation. Images from the RX1 can be put up against those from literally any 35mm-sensor camera currently on the market and they hold their own, if not better the competition. It's no surprise that the 36-megapixel Nikon D800 out-resolves the RX1 at low ISO, but the D800's smaller pixels exact a price at higher ISOs, where the balance tips in favor of the RX1 again. If you've almost made the decision to buy an RX1 and just need one more extra shove, click on the image above and view the high-resolution (original, straight from the camera) version at its full size. It's too big for most monitor screens but that's OK: Go ahead and zoom to 100% so you can see just how good a shot taken at ISO 3200 can really look! I really liked the Sony RX1's file quality, especially in its RAW images. There's a lot of latitude for making even significant tonal adjustments; detail comes up out of the shadows without complaint, and with surprisingly little noise. 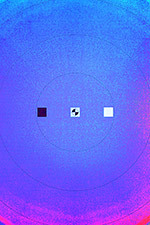 The tonality holds together very well also, with little or no sign of posterizing (quantizing) in the image unless you get really crazy with the tone curves. Where Sony has sometimes struggled with high-ISO noise reduction in the past, the RX1 does an excellent job of preserving subtle detail, and any remaining noise has a nice, fine-grained "filmic" appearance to it. There's also almost no chroma noise, so high-ISO shots look great when enlarged. It really seems like Sony has made some sort of breakthrough in how they handle noise; the RX1 and the A99 are a real step up from their earlier efforts in this area. The RX1's color and white balance were positives, as well. Color's a very personal thing, so this is an area where your mileage may definitely vary, but to my eye the RX1's colors are bright and clean, but always very believable. Like most people, I prefer the color in my photos to be slightly brighter than life, a preference most cameras on the market accommodate to one extent or another. In my opinion, the RX1 gets this just right, but if you feel otherwise, it's easy to make fairly fine-grained adjustments to saturation and contrast in each of the Creative Style settings. Low light is no problem for the Sony RX1. The large aperture Carl Zeiss lens collects plenty of light to send to the full-frame high resolution sensor, and higher ISO settings produce images with amazingly low noise compared to what most of us are accustomed to seeing. When it came to white balance, the Sony RX1 handled difficult and mixed lighting with ease. For me, the test of a white balance system is whether the photos match my perception of the subject when I shot it. This is surprisingly difficult to pull off; the human visual system is incredibly adaptable, and can easily handle both a range and mixtures of color temperature that would give most cameras fits. In my shooting with it, the RX1 did really well in this regard, whether coping with daylight, incandescent, fluorescent or awkward mixtures of any or all of these. While we exercised its various white balance options in the lab, in my personal shooting, I rarely if ever felt a need to use anything but Auto. I've almost never found this to be the case with other cameras. Then there's the lens. (Ah, the lens!) 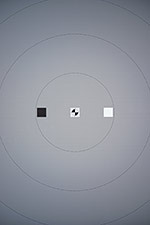 Because our SLRgear lens testing involves cross-calibration between bodies by shooting with a "calibration lens", we can't directly calibrate results for the RX1's lens against those tested on other cameras. Even without close calibration, though, it's clear that the Sony RX1's lens is the sharpest, most uniform full-frame 35mm optic we've ever seen. Period, full stop. Shooting with the camera, it was just amazing to me that I could shoot wide open at f/2, and not feel that the large aperture was in any way compromising the quality of my images. My shots were sharp from corner to corner, even at f/2. Not having to worry about stopping down unless I chose to for photographic reasons was truly liberating. Needing to find the "sweet spot" of the lens became a non-issue. In creating the lens for the RX1, Sony's lens designers took an approach we're seeing more and more lately, taking advantage of the ability to correct images digitally to allow more latitude in some aspects of the lens design. In the case of the RX1's lens, the designers allowed significant geometric distortion and light falloff (shading, aka vignetting), to help them achieve the excellent corner to corner sharpness. Uncorrected chromatic aberration is actually on the low side of normal as well, but after processing through the camera's optional correction algorithm, it becomes truly negligible. The result is a remarkable lens in virtually every aspect: This is by far the highest optical quality we've seen from any full-frame lens of equivalent focal length, including 35mm primes costing $1,500 or more. The one minor fly in the ointment is that the shading correction (which applies to both JPEG and RAW files, but can be turned off) introduces a slight magenta-to-cyan color shift across the frame. See the section below for full details on this, but it's pretty subtle; We saw it in the lab, but I never saw it in shots I took with the camera, even when I was trying to highlight the issue. The above images feature a shot with the macro ring of the lens set to its macro setting (left), a crop of the shot for artistic purposes (center), and finally a full size crop of the macro shot to further showcase the cropping power that such a high resolution sensor and excellent lens quality can achieve. In all of my shooting with it and all our lab tests, the Sony RX1's image quality was simply stellar, and its operation flawless. Well, almost. I did find that I was adding about +2/3 EV of exposure compensation to many of my shots. I found I could pretty well just leave the exposure compensation dial set to +2/3 and be happy with the resulting exposure unless it was a contrasty scene with a strong highlight, in which case +1/3 or no compensation worked better to hold onto the highlight detail. This was likely a deliberate choice on Sony's part, and given the price point of the camera, one that's probably justified: Experienced digital shooters know that once you've lost your highlights, they're gone forever, so you generally want to be very conservative in your exposures to preserve them. This means exposing shots a fair bit darker than you would if you were just looking for pretty pictures to use straight from the camera. If you're that type of shooter, you'll be happy with the RX1's uncompensated exposure choices; if you're not, just dial in +2/3 EV of exposure compensation as your personal default. We did encounter one really perplexing issue in some of our lab shots, namely that they showed a red/magenta to cyan color cast across the images; a very slight reddish/magenta color cast on the left faded into an equally slight cyan cast on the right. The thing is, this color shading didn't appear in all our shots, just some of them in both RAW and JPEG. After a good bit of head-scratching and a couple days of chasing the issue, we finally tracked it down to the RX1's shading compensation. With shading compensation enabled, we got relatively uniformly-exposed frames, but also with the color tints. With shading compensation off. we got darker corners, but no sign of the tint. The table above shows thumbnails of original images displaying the problem, as well as versions of the same shots that had their color saturation boosted by 100% in Photoshop to make the color tinges obvious. The thumbnails above link to the full-sized shots if you click on them and want to analyze them yourself. In the as-shot images on the left, if you look closely at the tops and bottoms, you'll be able to see the red/cyan or cyan/red tint difference between them. The two shots on the right had the color saturation amped up to 100 in Photoshop, to make the faint color tints glaringly obvious. These shots were captured with the camera on a tripod, looking at our flash range/uniformity target. The target was illuminated with our carefully-balanced HMI studio lights, so illumination was uniform to less than 1/10 EV. (The slightly dark corners in the shots seen here were caused by uncorrected shading (aka vignetting) in the camera itself.) To make it easier to see the problem, as well as to demonstrate that it wasn't caused by our lighting, senior tech Luke shot two images within less than a minute of each other -- one with the camera positioned grip-up, the other with it mounted grip-down, pointing at the same target. Having the images inverted next to each other makes it relatively easy to see the subtle differences between them in their unmodified state, but the saturation-boosted versions don't need any close juxtaposition to see the differences. The good news is that shading compensation is done in firmware, so this should be something relatively easy for Sony to fix. In the meantime, though, the bad news is that Sony bakes the shading compensation into the RX1's RAW files, so they aren't truly "raw" in that sense. If you want to avoid the issue entirely, you're going to have to turn shading compensation off, even if you're shooting RAW, and then handle any shading corrections in Photoshop. In the face of ongoing consumer demands for crisper-looking high resolution images, manufacturers have been backing off on the strength of the low-pass filters in their cameras, and in some cases, eliminating them entirely. This does produce sharper-looking images, but as they say, there's never a free lunch: The low-pass filters were there for a reason, which is to reduce various forms of aliasing. In digital images, you'll typically notice aliasing in three ways, either as raggedness ("stairsteps") in angled high-contrast edges, in the form of moiré patterns or as color artifacts (really a subset of moiré patterns). The inevitable result of dialing back or eliminating low-pass filters in digital cameras is that artifacts and moiré patterns will rear their ugly heads. Note that it isn't a matter of just using clever image processing algorithms to get rid of them. 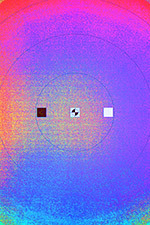 While some forms may be subject to detection and removal, by definition, aliasing is impossible to completely distinguish from valid image data. We bring this up, of course, because we found evidence of aliasing in the RX1's images, in both still and video captures. The crop to the right shows one of the more noticeable examples of aliasing we found, in a brick wall of a local City Hall, while the video clip shows moiré patterns in a neighbor's house. The latter are among the most severe we've seen with that particular subject. The good news is that moiré patterns are only likely to be found in man-made structures, where there are repeating patterns or textures not found in the natural world. A nature photographer would probably never notice a moiré in their subjects, but someone shooting a lot of buildings and architectural details could run across them quite often. As noted, the RX1 isn't the only camera these days that's prone to moiré issues: They're present in the Nikon D800 (both the normal and "e" version; the low-pass filter in the standard D800 is fairly weak, a big part of why its images are so crisp), the Nikon J1 and V1, to a lesser extent in the Olympus E-P3, of course in the Pentax K-5 II s (the version with no low-pass filter), in the very sharp Panasonic FZ200, to a lesser extent in the Samsung NX1000 and Sony's own NEX-7, and doubtless many others we haven't taken time to tally here. As with everything else, you'll have to decide whether this will affect your own photography or not. If it bothers you, you're going to have to give up some sharpness to get rid of it, since the only cure is an image with less high-frequency detail. If you don't want to give up superior sharpness in all your photos for the sake of the moiré problems in a few, there is a workaround; when faced with a problematic subject, just throw the focus very slightly off in one direction or another. The resulting softer image won't contain the too-high spatial frequencies that were the cause of the problem, so the moiré patterns should disappear. The only trick with this off-focus workaround is to blur things slightly enough so you don't end up with an over-soft image. Another possible workaround is to use a small aperture if the extra depth of field and longer exposure aren't detrimental to the shot. 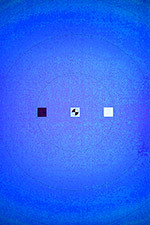 Small apertures such as f/16 or f/22 should soften the image enough (due to diffraction) to do the trick in most cases, though at the cost of reduced resolution. The Sony RX1's lens is very sharp wide open, so shooting at large apertures likely won't be as successful at reducing aliasing artifacts as with most SLR lenses. The video moiré seems more severe. If you intend to record a lot of video of man-made objects, the Sony RX1 might not be for you. Speaking personally, I'm much more interested in photos of people and nature than I am shots of city scenes, so the level of moiré the RX1 seems prone to wouldn't be an issue for me. Others with different shooting preferences obviously might feel differently. We didn't initially pay much attention to the Sony RX1's focus tracking, as it wasn't highlighted as a particular feature, nor was it one that would have much impact on our own use of the camera. 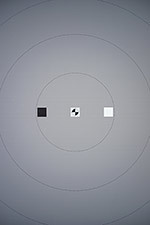 As we were finalizing the review, though, tech editor Zig noted that Sony's online documentation for the RX1 said that tracking focus "tracks the subject and adjusts the focus automatically even when the subject is moving", and also that "The focus setting for the first shot is used for following shots" in Speed Priority mode. He asked us to confirm that the focus didn't track in Speed Priority mode, but did in normal Continuous Shooting mode. Much to our surprise, we couldn't get the camera to track focus at all in continuous shooting mode, regardless of the tracking AF setting! Say what? We clearly remembered seeing an AF-C (continuous AF) option on the camera somewhere, but couldn't find it on our production sample. Checking photos of the prototype body (including Sony's own initial PR shots), we saw that there was indeed an AF-C setting on the focus mode dial that apparently was deleted from production models. There's also an obvious gap in the Fn button settings display, where the focus mode setting would normally appear. 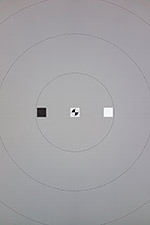 When autofocus is enabled, the camera displays AF-S in still image mode, but AF-C in video mode. This suggests that there was a problem with continuous AF that Sony wasn't able to solve before the design and firmware were frozen for final production. However, AF-C is still the default for video shooting (as noted, an AF-C indicator appears on the LCD screen in movie mode), so perhaps it was just a matter of not being able to maintain still-resolution focus accuracy, and the feature worked fine for video recording. 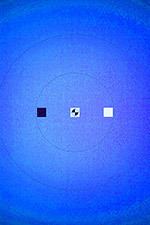 Resolving to find out, we did a series of AF tests in video mode, both with and without subject tracking enabled. The video AF tracking results were extremely disappointing; the camera had great difficulty tracking a subject moving at any speed. While still-mode autofocus is both reasonably fast and dead-on when shooting one image at a time (pressing the shutter for each shot), the focus is fixed on the first shot in a series in continuous-shooting mode, regardless of the tracking setting in the menus. And in video mode, continuous autofocus is almost entirely non-functional. Never mind our usual AF-tracking acid test with a car moving at 30 mph, we couldn't get the RX1 to track a person moving at a leisurely stroll. See our Sony RX1 Video page for sample videos and more details. There's no way around it, this is a significant failing. Speaking for ourselves (the various editors who've been involved in writing this review), it wouldn't keep any of us from buying an RX1, since we don't really care about tracking AF in video that much, and with its wide-angle lens, we wouldn't be using the camera for sports shooting either. It's a simply phenomenal still camera, with an incredible lens and a great user interface, truly a joy to shoot with, and we'd happily buy and use it on that basis. If you're a non-sports still-shooter, we expect you'll feel the same. We think that people interested in shooting sports or video will likely be attracted to other cameras in the first place. Is this something that could be fixed in firmware? Impossible to say, but if it was a straightforward fix, it would have been applied before the camera started shipping. It's our guess (and admittedly nothing more than that) that the problem goes deeper than firmware, down to the mechanics or electronics of the camera/lens system itself. The Sony RX1 has two different external viewfinders available as accessories, the FDA-V1K optical viewfinder, and the FDA-EV1MK electronic viewfinder, using OLED technology. Sony shipped samples of both for our evaluation. I'll start with the optical viewfinder, which bears the Zeiss logo. I can certainly believe that it contains Zeiss optics, because it provided a remarkably sharp, distortion- and chromatic aberration-free view. It was also very bright; objects viewed through it actually looked brighter to my eye than when viewing them directly. While the Sony RX1's optional Zeiss viewfinder is a beautiful piece of optics, I still honestly didn't see the appeal of it. It basically gives you a less accurate view, with vexing parallax issues for close subjects, and none of the incredibly useful information readouts available on the LCD or EVF. At $600, the FDA-V1K is more expensive than the EVF to boot. I'm sure some purists will love it, but I'd opt for the EVF any day. The RX1's optional FDA-EV1MK EVF has all the usual benefits of its class, including the ability to simulate exposure effects (including picture styles and creative filters), the (optional) availability of all the camera status indicators normally seen on the screen, as well as things like the camera orientation display to help you keep your horizons flat and verticals vertical. In terms of sharpness, viewfinder optics, and general utility, it's clearly one of the best EVFs on the market. Unfortunately, the EVF stills falls prey to the dynamic range limitation it shares with every other EVF I've ever looked through. While the RX1's EVF is better than many, it still blows highlights and plugs shadows, making it difficult to compose shots where there's significant subject detail in either. My griping about EVFs aside, though, there are a lot of advantages to being able to hold a camera to your eye, and I certainly appreciate the exposure simulation and information display a good EVF offers. Bottom line, I think the Sony RX1's EVF would be a good investment. At $450 list price, it isn't cheap, but it's not out of line with the cost of the camera itself, and it is indeed a very high-quality EVF. Even though I missed having a zoom lens, I can honestly say I haven't in recent memory had as much fun with a camera as I did with the Sony RX1. I couldn't be happier with the quality of the images it delivered, the lens was a revelation (you mean I really, really don't have to stop down to get a sharp image? ), and the customizable controls meant I spent a lot more time taking pictures than digging through menus. I've waxed euphoric about the RX1's image quality above, but it really deserves special mention when summing up my experience with the camera. The resolution is just incredible, which to some extent mitigated my dismay over the lack of a zoom lens. Frankly, you can make a perfectly nice 8 x 10-inch print with just 6 megapixels (3 megapixels, if you're planning to hang it on a wall and not squint at it). This means you can crop away half of the frame and still have enough resolution to make a very nice print to sit on the side table or hang on the wall. Going to 3 megapixels, you can crop away 7/8 of the frame, and 99% of your friends still won't be likely to notice. Cropping, of course, is what the RX1's digital telephoto does, and this is perhaps the first camera I've shot where I considered that a reasonable option. Resolution is only a small part of it, though -- the ability to shoot at crazy-high ISOs with a pocket camera changes the game in important ways. Just as the lens freed me from worrying about staying in its sweet spot, the Sony RX1's super-clean high ISO files meant I could by and large stop worrying about ISO as well. I mean, with a tack-sharp f/2.0 lens and ISO 6400 that'll make decent 11 x 14 inch prints, who needs a flash? I often carry a pocket camera of some sort when I don't want to lug along a bulky DSLR, but it's always a painful experience, knowing how poor the images will be indoors or after dark. With the RX1, that concern completely fell away. The word I keep coming back to is "liberating": The RX1 liberated me from a whole range of concerns I'm accustomed to dealing with, and let me concentrate on taking the pictures I wanted. As noted above, we did find some limitations and foibles that the RX1 was subject to, but they had very little impact on my own shooting, and wouldn't in any way keep me from purchasing an RX1 if I were in the market. At least for the sort of photography I'm interested in, the positives vastly outweigh the few negatives. The Sony RX1's f/2 lens paired with its full-frame sensor makes for great isolation between your subjects and the background. Background objects are far out of focus, but some objects at intermediate distances here show what I think is probably double-line or nisen-bokeh, making for distractingly sharp edges and doubling in some of the objects. Bokeh from a given lens can vary widely, depending on how close the lens is focused, the distances to background objects, and whether you're looking at foreground or background objects. The photo above was shot wide-open, at f/2, with the camera quite close to the trying-to-be-patient Yoshi. (Probably a foot and a half to two feet, if memory serves.) The RX1's bokeh was a lot nicer-looking when the main subject wasn't so close -- but the wide-angle lens means you'll often want to get close, to fill the frame with your subject. Too expensive or bargain priced? If there's any one aspect of the Sony RX1 that's been bandied about the 'net, it's the price. For most people, $2,800 seems an awfully high price for a small-body camera with a fixed lens, regardless of quality. Personally, I think that people who feel that way aren't framing their evaluation properly. While SLRs do give you the option of changing lenses, let's look at the equation simply in terms of price and image quality. The cheapest full-frame SLR you can buy these days is either the Canon 6D or Nikon D600, depending on who's bundling what or sneaking under the MAP price on any given day. Figure $1,900 - $2,000 for the body only at typical street prices. Then there's the matter of a lens. The contenders here are the Canon 35mm f/1.4, at roughly $1,400 street price, or the Nikon 35mm f/1.4 at about $1,600 street. Granted, both of these lenses are a full stop faster than the RX1's, but both are also softer in the corners than the RX1 is at f/2. The Canon 35mm f/2 and Nikon 35mm f/2 are both much cheaper, but the Canon is significantly softer in the corners at f/2 on full-frame bodies, and the Nikon almost certainly is too (as far as we can tell; we haven't tested the Nikon 35mm f/2 ourselves). Given these comparisons, you could make the argument that the Sony RX1 is actually bargain priced. I won't go that far myself, but I do think $2,800 is a fair price for what you get. At the end of the day, my experience with the Sony RX1, again, was all about the joy of photography. The camera's stellar capabilities and handling let me get the shots I wanted with very little fuss, and very little thought about the camera itself. For me, that's something that happens all too seldom, and is an accomplishment of the highest order. Below are crops comparing the Sony RX1 with the Sony A99, Sony NEX-7, Nikon D600, Nikon D800 and Canon 5D Mark III. NOTE: These images are best quality JPEGs straight out of the camera, at default settings including noise reduction. All interchangeable lens cameras in this comparison were shot with our very sharp reference lenses. Going up against the Sony A99 (which uses a variant of the same sensor), coupled with our very sharp Sigma 70mm f/2.8 lens, the Sony RX1 is noticeably sharper, particularly in the mosaic bottle crop and in the pink fabric. The RX1's lens is really spectacular, and we believe Sony also backed off on its low-pass filter. The Sony RX1 seems better compared to the very sharp Sony NEX-7. It's difficult to see a difference between them at ISO 100, which is significant given the NEX-7's APS-C sensor size, though the RX1 shows less noise in the shadows. The NEX-7 renders the pink swatch a little more magenta in this shot, while the RX1 gets is closer to correct. Again a pretty close match between the Sony RX1 and Nikon D600, though we give the edge to the RX1 here. Certainly the pink swatch includes a clear thread pattern, though the D600 gets the pink closer to right. Obviously the Nikon D800's 36.3-megapixel sensor is going to show quite a bit more detail, but it's a worthy comparison. The Canon 5D Mark III's 22.3-megapixel sensor captures slightly less detail due to image size, but does well enough at this ISO setting. Note the softer representation of threads in the pink swatch, though. ISO 1,600 starts to undo the mystique of the A99, possibly due to the translucent mirror technology in the A99, which likely reduces the ISO sensitivity by a third of stop or so. (It could also just be more-advanced noise-reduction processing in the RX1, though.) Its noise suppression has trouble with the mosaic image, whereas the RX1's image looks pretty clean. The NEX-7's smaller sensor size is also revealed as ISO rises, as its noise suppression cranks up to deal with difficult areas of the mosaic image. The background behind the olive oil bottle, and indeed the area where two meet is also muddled by noise suppression. The pink swatch of the NEX-7 looks terrible. Nikon's D600 leaves behind a bit more luminance and chroma noise, following Nikon's generally more conservative approach to noise suppression, and as a result maintains more detail in the red leaf swatch than the RX1. Note that some of those colors between the grout lines in the mosaic image are actually there, and the Nikon D600 leaves them while the RX1 cleans them up. The D600 completely loses detail in the pink swatch, though. Packing more pixels into the same full-frame space with essentially the same Sony technology does have a price. (The D800's sensor is made by Sony's sensor division.) In this case it's what the D800's noise suppression does to some fine detail, particularly the mosaic image. Yet the D800 still holds on to the basic thread pattern in the red leaf swatch, as well as the threads in the pink swatch. Sony's shadows look cleaner than the D800 as well. The Canon 5D Mark III looks quite similar to the RX1, though it finds a little less detail in the mosaic image and pink swatch. It's a close contest compared to some of the others, a more even match. Your eyes can tell you plainly that the Sony A99's noise processing is a little more aggressive here. The virtues of full frame at high ISO are shown once again when comparing the RX1 to the NEX-7, where the mosaic label's detail suffers particularly. As we often say, Nikon's more conservative approach to noise suppression leaves behind slightly more noise, but at the same time preserves more subtle image detail. Note, though, the brighter orange blotches in the D600's shot, both in the shoulder of the olive oil bottle and on the face of the mosaic character. Looking in many areas considerably less processed than fine elements of the RX1 image, the Nikon D800's detail holds up surprisingly well despite a greater level of luminance noise. The orange blotches are still present in the D800 image, though, where the RX1 is comparatively smooth, if somewhat more muted in color. (Not a significant criticism; both cameras do remarkably well at ISO 3,200). The RX1 retains more detail in the mosaic label, and its contrast increases (or else the exposure is simply darker), but both images are very close. The 5D Mark III is perhaps a bit smoother overall. Detail: Sony RX1 versus Sony A99, Sony NEX-7, Nikon D600, Nikon D800 and Canon 5D Mark III. Detail comparison. High-contrast detail is also important, pushing the camera in different ways, so we like to look at it as well. Each of these cameras does very well, with the only one unable to properly render the lines inside the letters at ISO 6,400 being the APS-C NEX-7. The Canon 5D Mark III stands out for its greater contrast in this crop, which certainly gives its image a lot more pop. It also has the brightest halos around the dark elements, though, so some of that pop is due to more heavy-handed sharpening. It's remarkable just how well all of these full frame cameras render this detail at all three ISO settings. It may be the first time none of the cameras we're comparing seemed even a little bit challenged at ISO 6,400. Suffice it to say that the Sony RX1 does very well against some pretty impressive competition. Absolutely gorgeous printed images across the entire ISO spectrum. With the Sony RX1 and a good printer, your walls will run out of room. ISOs 50/100/200 images create stunning 30 x 40 inch prints, and capable of excellent wall-display prints up to 40 x 60. ISO 400 looks great at 24 x 36, with only minor softening in our red swatch, and makes an excellent wall-display print at 36 x 48. ISO 800 yields a sharp 20 x 30, with crisp detail and again only minor softening in the red channel. Capable of wall prints up to 30 x 40. ISO 1,600 prints look very good at 16 x 20, with nice detail and color renditioning for ISO 1600, even slightly out-performing its DSLR brother the A99 here by 1 print size. Capable of a nice 24 x 36 inch wall display, which really is remarkable at this ISO. ISO 3,200 makes a nice 13 x 19 inch print, if just slightly grainy in some of the flat, shadowy areas of our target. Excellent prints here at 11 x 14, with a usable wall print at 16 x 20. ISO 6,400 prints well at 8 x 10, which is yet again excellent for this ISO. 11 x 14s are quite usable with some minor softness in some areas and a mild film grain look in others. ISO 12,800 prints a crisp 5 x 7, with generally nice detail and only minor softness in our red swatch. ISO 25,600 capable of a nice 4 x 6 print, and a usable 5 x 7, with amazing color for such a high ISO. Summary: Does it say anything revealing about a camera's printed image quality that when we printed an 8 x 10 at ISO 6,400, looked at it with amazement, and naturally assumed we must have somehow made a mistake and were in reality looking at ISO 400 instead? That's what happened in several cases while printing the RX1's images. Its shots inspire a real wow factor, especially for this camera's price range and small size in comparison to cameras with rival image quality. "Off" High ISO noise reduction setting applies stronger NR to red channel than "Low" or "Normal"
The Sony RX1 is a remarkable camera in almost every respect, from the full-frame sensor hiding inside its incredibly compact body, through its excellent lens, great feature set, and superb image quality. Its fixed prime lens means you have to "zoom" with your feet, but it's a great focal length for street photography, and the camera's 24-megapixel sensor means digital zoom produces images with enough resolution to make good-looking prints at reasonable sizes (fine-looking 8 x 10s at a 2x zoom, for instance). Much of what makes the Sony RX1 such an enjoyable camera to shoot with comes down to its great user interface, and the extent to which it can be customized to fit your particular needs. Three custom presets are like having three different bodies set up and ready to go for different shooting situations. And regardless of the shooting mode you're in, the array of highly configurable buttons mean your most important settings are always just a button-press away, letting you concentrate on shooting rather than menu navigation. Beyond its basic picture-taking chops, the Sony RX1's broad array of scene modes and custom filter settings enable a lot of creativity in-camera, while special multi-shot modes like Handheld Twilight and Sweep Panorama expand shooting opportunities in genuinely useful ways. While we did encounter minor issues in the form of a subtle color shift across images when shading compensation was enabled and a slight metering bias towards underexposure, we believe the first of these will prove amenable to a firmware fix, while the latter is easily dealt with by simply dialing in a little exposure compensation by default. Neither detracted significantly from the sheer pleasure of using the camera. We never thought we'd find ourselves saying that a $2,800 compact camera was a good deal, but if ever one qualified as such, the Sony RX1 is it. What's perhaps most exciting about the Sony RX1 is the way it completely redefines expectations of what a compact camera can accomplish. With the RX1, Sony has thrown down the gauntlet to the rest of the camera industry; it'll be interesting to see who, if anyone, rises to the challenge. Meanwhile, the Sony RX1 sets a new benchmark for compact camera performance, earning it a resounding Dave's Pick as one of the best -- if not the outright best -- cameras of 2012.